Get the inside track from the K Club with the Golf Monthly Ryder Cup Blog. Updated throughout the week by Michael Harris & Jeremy Ellwood. (JE) So there we have it ? history repeats itself with another emphatic 18.5 to 9.5 victory for Europe. The celebrations get off to a slightly iffy start when captain Woosie gets one in the eye from the first bottle of bubbly popped. One suspects that that will be the first of many and tonight?s party will go on well into the small ? and perhaps not so small ? hours of tomorrow morning. We sign off for now just as Woosie experiences another unfortunate moment with the champagne and Darren Clarke knocks back a pint of the black stuff in record time. (JE) Just when you thought there could be no more excitement from the handful of matches still left out on the course, Scott Verplank goes and does a Paul Casey on the 14th to join the elite band of players to have had an ace in the Ryder Cup. A great moment for Verplank, but sadly not one that will make any difference to this event other than to give the Americans a slim chance of avoiding another record defeat to go hot on the heels of last time?s record defeat. (JE) Henrik Stenson spoils the party ? well sort of ? by holing the putt that seals the trophy for Europe before Darren Clarke gets the chance to do so on the 16th. Quite frankly, we?ve whipped their butts again, and it becomes harder and harder to understand why they can?t perform in this event ? or do we just lift our games to an unimaginable level for these three days? It?s hard to explain ? but fantastic news once more for European golf! (JE) I?m not quite sure what?s going on here, but some of the putts that have been holed over the past few minutes are bordering on the ludicrous ? none more so than Furyk?s double-breaking downhiller on the 16th to keep his match alive with Paul Casey. Once again the Ryder Cup is serving up some truly memorable golf, but with the scoreboard turning bluer by the minute it looks like it will be all over pretty soon ? the big question now is whether or not the golfing gods have it in their plans to allow Darren Clarke to be the man to hole the winning putt? (JE) I?ve just spent a very pleasant hour or so down by the 11th green where there?s been plenty of interesting things going on ? some that you may have seen others that you won?t have. Having watched the first eight gladiators come through I?ve seen four birdies and a shot from Monty out of a fairway bunker that really does prove he can walk on, or anyway near, water when it comes to the Ryder Cup. I didn?t see exactly what happened, but I?m told his ball ricocheted off the rocks by the green and hopped up nicely onto the fringe from where the hole was saved. Tom Lehman, standing nearby, remained stony-faced and silent throughout, though I?m sure a mild swear word must have at least crossed his mind. So what else to report? Well I can confirm that the latest addition to the range of speciality officials is a duck marshal down by the pond at the 11th. Our web-footed friends are obviously not allowed to enjoy the same frivolous access to the green on this crucial last day as they were earlier on. A couple of potential intruders are warded off by a tartan-jacketed official to ensure no time is lost, though in all honesty Garcia and Cink are more than twenty minutes behind Monty and Toms coming through. The nearby scoreboard operator is milking the moment theatrically, brandishing every blue number that benefits the European cause to full effect. The crowd are loving it, responding enthusiastically to every improvement, especially when it involves their beloved home players. 80 yards away the crossing point back to the media centre is becoming what might loosely be termed a quagmire and one feels for those whose job it will be to reinstate the fairway when everything?s over. Needless to say no money will be spared in getting things back to normal as quickly as humanly possible. In the meantime there are now ruts deep enough in the fairway to lose a small, soon-to-be jubilant Welshman if he doesn?t watch his step when crossing. Garcia gets the crowd going as he birdies from 15ft to get one back on Cink after a huge drive, but Cink will ultimately prove too good for the Spaniard a few holes later. Next up it?s Tiger and Karlsson ? I know this because Mrs Woods arrives near me in the company of Corey Pavin. The cameras start going off rapid-fire and Pavin, in spite of the way things are going for the US team, engages the photographers in some good-natured banter. ?Don?t you want some shots of me too,? the former US Open champion quips. No, appears to be the unspoken answer! As yet another hare goes charging across the fairway it occurred to us how it was a good job that Fuzzy Zoeller, Frank Lickliter III or one of the other gun-toting hunters that there seem to be many of on the PGA tour aren’t playing, otherwise the wildlife could have been in some trouble. Back to the golf in hand and things are evenly poised. Of note is how Garcia is getting a proper pummelling by Cink and that Tiger is at last getting into gear. With the final day singles announced it?s time to put our necks on the line? (JE) As Harry Enfield?s German character used to say, ?I feel I must apologise for my advice to bet against Woods.? I was sitting right next to the green when Jim Furyk holed the putt that ensured the Irishmen could no longer win, and to be fair it never looked liked missing from 20ft out. When I first joined the match on the 10th it still looked hopeful as Tiger had just carved another drive way right. But despite some stern resistance, the Americans ? and their putting in particular – eventually ground the plucky Irishmen down. Two minor points of consolation. If you?d also bet against Tiger yesterday afternoon you?d still be 5% up on the two days ? a better rate of return than most building societies or banks; and as Furyk?s putt dropped on 15 I had the good fortune to be sitting just a yard away from a certain Mrs Woods ? never a bad place to be. Day three has finally come to a finish with Europe leading 10 to 6. Tiger Woods and Jim Furyk winning the last match has given them more than a glimmer of hope. Not only because it narrows the gap to four points but because Tiger has at last found some form and looks less like it?s all a bit of a bind being here. (MH) Casey has just had an ace at the 14th to win the match in some style. Apparently it was a four iron, it?s only the fifth in Ryder Cup history and the first since 1995 at Oak Hill when Howard Clark holed in one against Peter Jacobsen. It’s yet more misery for the Americans. (MH) Garcia and Donald have just shut out Mickelson and Toms at the 17th after Mickelson airmails the green and Toms can?t hole from the sand. That could be the start of the end for the Americans. (JE) While at my favoured 11th green viewing point I suddenly find myself joined by the family DiMarco and countless other members of Team USA cheering on Vaughn Taylor and Chad Campbell against Monty and Westwood. As their men come into view there are cries of ?Go VT. Go Chad? and some strange ?whooping? noises, which appear to be some sort of secret code. This stirs the Americans fans into action and as the players reach the green those familiar chants of ?U-S-A! U-S-A!? begin to ring out. They?re silenced, temporarily at least, on the 12th when Monty converts Westwood?s excellent tee-shot to take the game back to all-square. Off back out now to see the final two games through the 11th and make sure those Irish boys aren?t blowing too much of my hard-earned cash! (JE) Just nipped back in quickly from a spot beside the 11th green which is proving to be my favourite place to watch ? and handily close to the media centre too. I?ve been following the Garcia and Donald vs Mickelson and Toms game down 10 and 11 and there?s been plenty of incident. On the 10th Mickelson was looking for a ?casual water? drop down the right and made the decidedly bold play of dropping a tee peg in the middle of the fairway to indicate where he thought he should be dropping away from a thick claggy lie. Much muttering and murmuring from the crowd. But in stepped the match referee to find a suitable point of relief in at least a vaguely similar lie, although I can report that originally I couldn?t see the ball, and afterwards it was sitting up fairly invitingly. On the next Toms hooked his drive left and some unfortunate lady copped one right on the head. Blood everywhere ? well not quite, but enough for a medical team to be summoned. ?She?ll get a nice signed glove out of that,? Sky Sport?s Richard Boxall tells me, while I take the chance to ask Graeme McDowell working nearby on behalf of RTE how a player really feels when they hit someone. ?We feel really bad to be honest,? he tells me. ?But if it happens more than once a season you?ve had a bad year.? The Americans duly arrive both proffering already-signed gloves, but Phil is at pains to point out that it was Toms? shot that had done all the damage! The afternoon foursomes are really beginning to hot up with the US team finally firing. Dare I say it but Tiger even seems to be finding some sort of form. I was interested to hear on the Sky TV feed we get in the media centre that he and Jim Furyk are swapping the ball they?re playing on each hole so that whoever is playing the approach shots can be playing their normal ball (for Tiger that?s a Nike and for Furyk a Srixon) to try and maximize their control over the shots. And, stood at two up on the seventh tee you?d have to say they?re doing something right. Jeremy?s prediction of free money for those opposed the US pair this afternoon isn?t looking too clever. The current tide of blue dominating the scoreboard is great viewing for all home fans, with the possible exception of one Tyne and Wear golf punter who has staked a whopping £347,000 with William Hill on the USA to win. If the US turns the tables he’ll trouser £754,000 but with Europe draining putts from everywhere at the moment it looks unlikely. William Hill’s spokesman Graham Sharpe summed up the situation rather succinctly when he said, ?I think he may be having second thoughts about the wisdom of his massive wager at the moment’. (MH) I?m finally beginning to dry out after a very wet morning on the course watching the Spanish express roiling on and then dropping back to watch Tiger and Jim Furyk take a hiding from the inspired duo of Clarke and Westwood. Tiger really is struggling out there and I like Jeremy can?t believe he?s been picked again for the foursomes. Quite frankly he?s a liability. Normally you?d back him to putt his way out of trouble put he?s even struggling in that department. In fact Zach Johnson aside, the entire American team just aren?t sinking enough putts. Ironic that one of the US team vice captains is Loren Roberts, the legendary ?Boss of the Moss? ? they could do with a bit of his magic rubbing off on his charges because as everyone says, the team who putts the best wins the cup. And, as I type this Paul Casey has just drained a great birdie putt on the second to get his match back to all square. The omens look good for Europe. (JE) And with reference to Thursday?s posting at 15.40, the two Alexanders (Casey and Howell in terms of their middle names) are on the tee together and ready to go in 15 minutes in the third afternoon foursomes. (JE) ?. all of which leads me to ask – having just watched JJ Henry eagle the 16th and stiff it on the 17th – why on earth is he not playing in the foursomes? He?s currently vying with Zach Johnson for ?best player on the American team? honours. Tom Lehman knows why, but from my layman?s perspective, I?d have rather have had Henry playing for me than Woods ? based on current form at least. But what will the score be going into the afternoon? Two fourball matches look safe for Europe at the moment but the other two still hang in the balance, with Verplank and Johnson looking increasingly likely to put a point on the board for the Americans. (JE) Get your wallet out and weigh in with a fistful of dollars ? Woods is playing in the foursomes alongside trusty sidekick, Jim Furyk. And what with them playing against two Irishmen on the course in Paul McGinley and Padraig Harrington, and several thousand more off it, I can only see that one going one way, especially as Tiger has just hit it deep into a lake and almost onto the “Food Island” in its middle. It’s going to be hard making pars from there in the alternate shot format! (JE) With all the morning fourballs now well in to the back nine, perhaps the most telling stat ? and reason for the current state of affairs ? is that while Zach Johnson has amassed five birdies on his own in 12 holes, his seven world class team-mates have only racked up four between them in 96 attempts. One would assume that young Zach will be out on the course this afternoon rather than watching from the sidelines, but all is set to be revealed any moment now. (JE) Rocks are playing an increasing role in proceedings today. Firstly with Harrington getting a huge ricochet off the rocks on the 8th back into play (why do mine always go the other way into the water? ), and now Garcia standing on the rocks short of the 12th green contemplating a tricky chip ? again, how did that ball stay dry? Meanwhile there have just been some huge cheers outside the media centre, the reasons for which haven?t yet been shown on the Sky coverage. Wonder what that was all about? Ah, that?s it ? Clarke making an unlikely three on the 11th after a wide tee shot to turn another scorecard an ever-deepening shade of blue! (JE) Michael left the media centre 40 minutes ago accompanied by both the precious red bib and the words, ?I?m off to follow the Garcia match to the end but it looks like that will be on about the 15th.? Those words are now looking spookily prophetic as the Spanish duo continues to hole putt after putt to reach 4-up after 10 against America?s second mightiest pairing of Mickelson and DiMarco. Tiger?s struggles continue with another frustrating birdie miss at the 9th from no more than around six feet. Keep yourself loose and ready to go, Vaughn Taylor? (JE) Tiger?s woes continue as he hits another poor, pulled tee-shot on the par-3 8th, splashes out well to 3 or 4 ft then lips out for par. As the players left the tee here, captain Lehman spoke to Tiger for a few seconds ? was that to gee him up, or ask whether he feels he might be better off sitting out the afternoon? Who knows?. (JE) You may or may not be aware that the only player not to have set foot on the Palmer course in anger so far is the American, Vaughn Taylor. For those of you unsure of exactly what this little-heralded player looks like, I found myself sitting next to him and his typically attractive girlfriend/wife at the back of the 18th green as the Casey/Karlsson v Cink/Henry match reached its conclusion yesterday morning. He has fairish hair and is what you might term wiry with a waist measurement approximately equivalent to the circumference of one of my thighs. If he does make the line up this afternoon, there?s increasing speculation that if Tiger Woods fails to click into gear this morning, and give some impression that he?s actually enjoying things, Tom Lehman might do the unthinkable and drop the great man from this afternoon?s foursomes. Quite what the world number one would feel about making way for the world number 60 would be a matter for private discussion between Tom and Tiger. 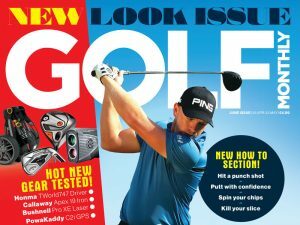 If Tiger does play, Golf Monthly once again recommends backing whichever Europeans he?s paired against as the best way to secure a few extra pounds in your bank account for Sunday?s European victory celebrations (or are we perhaps jumping the gun a little and tempting fate??). (JE) Well, that?s it for the day on the course. Monty?s gutsy six-footer to get a half out of the final afternoon foursomes leaves Europe holding a healthy two point cushion heading in to Saturday. Big cheers in the media centre when that final putt found its way home (with the exception of our colleagues from across the pond obviously). Looking forward to another 11 hours of golfing excitement tomorrow! (JE) You might have thought if you were the world number two you would get your way pretty much most of the time in golf. But sadly for Jim Furyk (just back down to number three actually in the latest World Rankings), not when you?re paired with the world number one. When it came down to the crucial matter of which ball to use in the alternate shot format, Tiger pulled rank and the pair teed up with a Nike model rather than Furyk?s preferred Srixon. That scenario was repeated with world number two Phil Mickelson?s Callaway HX Tour holding sway over Chris DiMarco?s Titleist Pro V1. (JE) Just back from another little jaunt round the course following the Monty/Westwood vs Mickelson/DiMarco foursomes. I got caught up in a spot of mutual celebrity appreciation on the 12th tee when Michael Jordan indulged in some good-natured banter with the European pair. Unfortunately, what with the elevated tee and Jordan being roughly a foot taller than me I didn?t pick up too much of the conversation. Monty demonstrated the luxuries of being rich and famous by taking a couple of swigs out of a complimentary bottle of Ballgowan mineral water before simply lobbing it in the bin to save the hassle of carrying it round. Moments later on the 13th tee Chris DiMarco proved that superstars can also be just like us by hitting the kind of high, weak fade off the tee with which I am all too familiar, followed by the frantic words ?please sit up? which have passed my lips oh so many times. I don?t know whether or not his ball obeyed as I decided it was high time to retreat to the sanctuary of the media centre to catch up on all the other action. (MH) I have just come back from two of the most emotion fuelled press conferences I think the Ryder Cup can have ever seen. First up was Jose Maria Olazabal who was positively bristling with feeling as he talked about what it meant to make the team for the first time since 1999. He knows he won?t have that many more opportunities to make the team and he is definitely here to milk every last drop out of the experience. He spoke about how the team has come together and the reception for all the players on the course. It?s great to see that this tournament still inspires these feelings among the players. Barely had we had the time to sit down and digest what Ollie had to say when Darren Clarke was announced into the interview room. How he kept his composure in there was beyond me. Nearly every question he had to ask was about how he felt. From how he felt from going to bed last night to the reception he received on the first tee and finally what were his feelings were as he walked off the final green having won his match with his great friend Lee Westwood. His answer to the last question? ?They were feelings I hope you?ll never have to feel.? There were a lot of glassy eyed looks from those walking out of that press conference. (JE) A couple of other little things about that Casey match this morning. Firstly, on that 16th hole Casey?s ball got kicked inadvertently into a much better lie by someone from the media after his second shot (no-one from the Golf Monthly team I hasten to add). Having sought out the match referee, the ball was replaced as close as possible to its original resting spot before Casey went on to steal the hole for Europe. A reward for honesty perhaps? On the next tee though, he nearly put his ball in the water after an imaginary camera click distracted him at the top of this backswing. No-one near me heard it, and none of the photographers were looking around sheepishly trying to avoid eye contact with him, so we had to put it down to pressure playing tricks on the mind. No doubt Paul would disagree. (JE) So what about this morning?s action? Well, I set out with the intention of tracking down the Woods match, stumbled across Casey and Karlsson vs Cink and Henry on the 11th and stayed with this fascinating match till the final putt. What a great game of golf with more twists and turns than the average Agatha Christie thriller ? Europe 3-up at the turn, the Americans getting it back to 1-up with three to play and then looking virtually certain to go dormie on the 16th. But what happened there was one of those great matchplay turnarounds that make the format so exciting. With Henry looking to be on the green in two from where I was standing, Karlsson in the water and Casey and Cink on or around the green in three but not really threatening, Europe looked to be dead in the water. But it?s never over in matchplay until the rather overweight lady starts fully exercising her vocal chords. So what happened? For those of you who didn?t see it, first Cink lipped out unkindly from the fringe; Henry, whose ball was actually just through the green, semi-fluffed his chip to around 4 or 5ft; then Casey stroked it home from 40 or so feet to monumental cheers before Henry, whose pure putting stroke had largely contributed to the American revival, missed his short birdie putt. So not dormie after all, but all square ? a score that remained to the end, perhaps fittingly in this excellent match. (JE) I?ve just got back in from an exciting morning?s golf out on the course, more of which later. But first I need to tell you about one of the best investment opportunities you?re ever likely to get in golf ? Garcia and Donald to beat (nay, thrash) Woods and Furyk in the afternoon foursomes. Why? Well, if wayward Woods? front nine play this morning is anything to go by I sense he?s going to prove too much of a millstone around steady Furyk?s neck in the alternate shot format against two of Europe?s straightest players. Having said that I?ve just watched Donald carve it miles right off the first, but I?m still confident of at least a 4&3 triumph as the Americans have just limped to a double bogey gifting the first to Europe. It looks like a surefire bet to me, but of course I could be wrong?.. (MH) The foursomes have been announced and they look very exciting. It?s great to see Woosie putting out the four boys who didn?t play this morning and I think the Stenson/Howell pairing will be great. Stenson has been hitting it very long in practice and apparently Howell is playing beautifully. We saw David?s coach Clive Tucker (Clive is also one of Golf Monthly?s Top 25 coaches) last night and he was saying Howler was in great form only missing one fairway and one green yesterday. For the US team Scott Verplank and Vaughn Taylor will have to wait until tomorrow at the earliest to get involved which must be frustrating for them. I was actually stood next to Verplank and President George Bush Snr behind the 8th green late this morning and I assume he knew that he wasn?t playing then but he seemed in good spirits nevertheless. As I finish up the US have just secured the first point of the Ryder Cup but with Europe responding in the second match it’s all square. Where the other two games are going is anyone’s guess but I think this morning’s play gives an idea of just how tight it’s going to be. (MH) Wow, what a morning?s golf. I was on the first tee bright and breezy and I can honestly say I have never experienced such a charged atmosphere as I did then. The cheers and roars really had the had the hairs on the back of my neck standing up. As ever the European Tour’s official starter, Ivor Robson got proceedings underway in fine style. I had a great position with the European wives, girlfriends and had a prime view of Tiger pulling one into the water. It was good to see Donald Howell Stenson and McGinley there to support the team – McGinley in particular got a massive cheer. The action came thick and fast during the first few holes with the teams trading blows. The Europeans were noticeably more relaxed ? especially Sergio and Ollie who were laughing and joking around. I was stood next to Sergio?s dad behind the 4th3green when he played in that magnificent approach and he looked so proud of his son. Shame he couldn?t convert the eagle putt but he?s playing very, very well. Back in the media centre the atmosphere is good too ? a huge roar went up for Monty’s approach at 16 and lots of oohs and aahs when Furyk?s wedge spun back into the water. (JE) Olazabal becomes yet another casualty of the water on the 7th but thankfully partner Garcia gets it right and hits the best shot of the morning into the tough 430-yarder leaving himself around 10 feet for birdie? which he misses! Westwood then hits it even closer in the following match? but he misses too. Meanwhile Harrington opts for the big stick off the deck in an attempt to get home in two on the 584-yard par 5 10th and finds a greenside bunker. (JE) ?. yes is the answer to the Tiger birdie attempt on the 8th for a winning two. Meanwhile Toms and Garcia continue to throw red numbers at each other in the third match ? three apiece through six with Europe remaining 1-up in that match. And the 7th foxes everybody on the first morning (Woosie told us it would be a key hole) with a high percentage of players finding the water short right ? among them Harrington, Furyk, Casey and Cink in the opening two matches. And Karlsson achieves what appears to be virtually impossible on the same hole when his ball amazingly comes to rest right on top of a camera tower. He gets a free drop, chips to 12 feet and then calmly holes the putt to claim the hole. (JE) Tiger finally roars to life on the 8th with a precision short iron to 4 or 5ft on this testing par 3. But will he convert the birdie chance?.. (JE) Some initial impressions early on this first day as the score board begins to take on a reassuringly familiar blue hue. Firstly how wrong the weather forecasters have got it as the course is currently bathed in glorious sunlight with relatively little wind; then how bewildering it is that once again Tiger seems unable to carry his phenomenal individual form into the Ryder Cup arena (though that of course may all change! ); then how aggressively they?re all putting with plenty of non-gimmes on the ones coming back (either that or the damp greens are not proving as slow as they perhaps look to the players); and finally how much the enthusiastic home support may be counting as an extra half player in each European pairing. Hopefully Michael will be back soon to bring you some more in-depth observations on that big-name opening fourball (and more importantly to hand over the coveted bib!). (JE) Not a dry eye in the house as Darren Clarke gets off to a fairytale start nailing his first drive 300 yards down the middle, wedging it to 10 feet and then rolling the putt home dead centre to a simply deafening roar. Europe up in two and down in two as it stands right now. (JE) Gasps of astonishment as Tiger takes his 3-wood for safety and promptly carts his Nike One into a lake down the left-hand side miles off-line!! All three other players are safely in play but Furyk will now be playing the first hole solo effectively. (JE) Having sadly lost the Golf Monthly challenge last night for early bib rights I find myself in the media centre on Friday morning trying to plot my strategy for maximum golf watching today. The first update I have for those of you without the luxury of Sky Sports is that Team Europe has probably just edged the Friday outfit contest. Woosie?s men – perhaps not surprisingly given the venue ? are decked out in green sweaters or slipovers, while the Americans are sporting slightly dubious looking grey and cream sweaters with large diamond patterns on the front and sleeves. 1-up Europe. (MH)For those even vaguely interested, I will be taking bib duties first thing on Friday. The putting competition grew into a nine-hole matchplay extravaganza on the lovely Championship course at Citywest. I?ll spare you the finer details save to say it was a well fought 2 & 1 win played out in the best traditions of the game. Of much more relevance was how dry the course was after a day of high winds and no rain. As I type the wind is gusting severely and our berth on the fifth floor sounds and feels as if it?s about to take off. If this hoolie doesn?t blow itself out I don?t expect a prompt start tomorrow. All the chat in the bars tonight was of predictiosns for the opening matches tomorrow morning. Even the most cautious seemed to be backing Europe for 2 ½ to 1 ½ at lunch. And, much as I have, and continue to, tip the US team to win, in the end I feel Europe will get off to flier tomorrow. That?s due in no small part to the weather as we have much more experience of playing in these sort of conditions. Talking to one of the European team player?s coaches they commented on how the less experienced US players were really struggling to control ball flight on the range today. Oh well, we?ll see tomorrow. Log in again from about 11am for an update. (MH) I feel like a delegate at a United Nations conference sat here as I am in the media centre with a pair of headphones on listening to the opening ceremony being piped in from outside. I guess you could say it was interesting ? for me it had slight echoes of USA 94 with all the revolving planets but thankfully there was no Diana Ross character to fluff a chip with an oversized club. So, after some singing and dancing we now know the pairings for the morning fourballs?. It?s no great shock to see the line ups for the first and indeed last games but I for one was surprised to see the players selected for matches two and three – on both sides. Woosie said it was a tough decision on who to leave out and I?m sure Donald and Howell will be especially disappointed but Woosie has made it clear all 12 will play before the singles and did all but admit those two players in particular will feature tomorrow afternoon. For the US Lehman is obviously confident in Henry and Wetterich. Explaining his selections he said Henry is gelling exceptionally well with Cink and that Wetterich is making birdies for fun. So, with the pairings announced it feels like the Ryder Cup is finally read to get underway. We?re off back to the hotel to get thoroughly excited and have a putting contest to decide which one of us gets first use of the precious inside the ropes media bib – which despite looking like a vest Steve Ovett and Seb Coe would have worn to run in the Olympics of the 80s ? is a privileged passport to a ring side seat in what is perhaps the biggest event in golf. Bring it on! (JE) As I sit watching the opening ceremony I find myself idly flicking through the official players guide, and I?ve made some interesting discoveries I?d like to share with you about the players? names. 1) Both Paul Casey and David Howell share the same middle name of Alexander. Is this a sign that they will be paired together? ; 2) Robert Karlsson?s real first name is actually Jan, while Chad Campbell?s is David; 3) Chris DiMarco?s first name is Christian rather than Christopher ? not a lot of people know that; 4) Paul McGinley and Phil Mickelson both have rather old school middle names in Noel and Alfred respectively; 5) J.J. Henry does appear not to have a proper first name; and finally 6) The winner of our impromptu ?most unusual thing about Ryder Cuppers? names? competition is Scott Verplank thanks to the startling revelation that his middle name is Rachal! (JE) The pairings for the opening series of fourball matches have just been announced by Woosie in a press conference, but unfortunately if I were to tell you what they were before the opening ceremony I?d have to shoot you, and would probably have my media credentials rescinded. In the meantime a thought occurred to me while captain Woosnam was telling us who was going to sit out the opening session. We?ve got 24 of the world?s best players here for an unrivalled biennial feast of matchplay golf so why on earth don?t they just all play every series, giving us six matches of fourballs and foursomes on the first two days? Logistical or tactical reasons perhaps, but wouldn?t it be great if there were more matches to follow both here and on telly and no players had to suffer the disappointment of having to sit on the sidelines when they?re itching to get out there and show us what they can do. (JE) With some well-publicised team uniform gaffs making the national headlines pre-tournament I?m pleased to report that Team Europe looked very smart today in a relatively sombre navy/pale blue ensemble. However, I?m not so sure about the outfits being sported by the plethora of marshals out on the course. The waterproof tops are a slightly dubious green-based tartan the like of which every golfer wore when I first took up the game in the early ?80s, while those bold enough to take them off have green sweaters in the kind of pastel shades with which the Ryder Cup has become inextricably linked. But as my office colleagues would be only too swift to point out ? who am I to comment on fashion? What I can say with some authority is that there appear to be more marshals here than ever ? with very specific roles. For example, ?Mobile Marshals? who are presumably authorised to deal in an appropriate manner with anyone breaching the ?no phones on the course? rule, and even ?Media Marshals? to ensure we don?t step out of line or get in too many people?s way from our privileged ?inside the ropes? positions. All very necessary probably given the sheer number of people here, even before the tournament has started. Jeremy Ellwood (JE) Just back windswept but mercifully dry from my first on-course recce following the European team?s third final practice day match ? Howell and Stenson vs Donald and McGinley. It?s actually fairly warm and my Golf Monthly staff issue waterproofs quickly changed role to trouser-saving kneeler halfway up the 2nd. So what?s struck me so far? Firstly, what immaculate condition the course and greens are in given the volume of water the Irish weather has been throwing at the course; then how punishing the lush rough is as Luke Donald discovered on the 2nd leaving him with no option but to hack it out; and thirdly how nice it is to see the players without their human billboard headwear for once, choosing to sport either the team caps or visors or to go unhatted (if such a word exists). Luke Donald?s hair is officially now quite big! Stenson is long too ? his drive on the 1st was 40 yards past anyone else?s (though I couldn?t see what clubs they were hitting) and just a few yards short of the water well over 300 yards away with not a lot of run. The players all spend time signing autographs willingly between holes although in reality few words are spoken and you sense just a hint of understandable tension in their eyes and the realisation that in less than 24 hours many of them will be doing this for real ? no autographs then, just a cocoon of concentration. So how were they playing? Pretty well really in a fresh crosswind. Howell won the first with a birdie from close range; Stenson chipped in on the 2nd to prove he?s not all brute force and to take his team two up I believe – although I may have missed a shot somewhere; and as I left them on the 3rd Donald had just fired an iron shot very close to a huge roar of approval from the crowd. Tomorrow (weather permitting) those cheers will be exponentially louder. Michael Harris (MH) Good morning from a very windy K Club. The Golf Monthly team flew into town last night and for the next four days we?ll be bringing you the inside stories from the 36th Ryder Cup matches. The big news here is of course the weather. It’s been very wet and windy but the course seems to be holding up ? what effect significant rain today will have is anyone?s guess. In fact as I type it?s just started drizzling but the European team are out on the course practising. Jeremy has gone out to follow the pairings and he?ll report back around lunchtime.